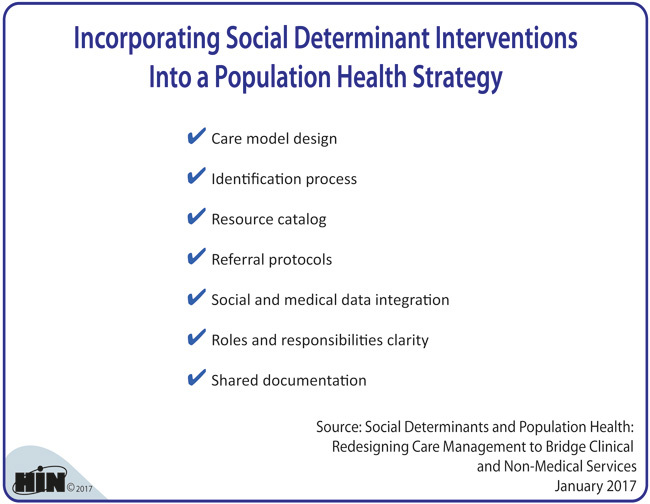 In Social Determinants and Population Health: Redesigning Care Management to Bridge Clinical and Non-Medical Services care teams will learn that by asking patients the right questions and listening carefully to their responses, they can begin to identify and address social determinants, dramatically impacting patient outcomes as well as their own financial success under value-based care. 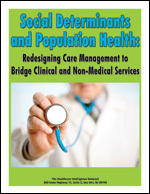 Social Determinants and Population Health: Redesigning Care Management to Bridge Clinical and Non-Medical Services is available as an Instant PDF Download for $95 in our Online Bookstore or by calling toll-free (888) 446-3530. Working to bridge the gap between hospital discharge and permanent supportive housing for homeless patients, the California-based Chronic Care Plus program found that 40 percent of client needs are related to social determinants, explains Paul Leon, CEO of the Illumination Foundation, a Chronic Care Plus joint venture partner. In this audio interview, Leon explains the need to not only house patients but also to connect them to a plethora of social services, including mental health appointments.